It's game day (again), and we are one game closer to ending this Western Conference road trip. If you fell asleep last night or wisely decided to stop watching the slaughter, you can re-live the game through Chet's game summary. The Ducks will be sporting their retro jerseys tonight for the first time to celebrate their 20th anniversary. 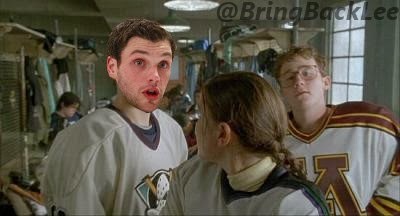 As you may have heard, Bobby Ryan re-visits his former team, the Anaheim Mighty Ducks, for the first time tonight. In honour of tonight's game, let's take a stroll down memory lane as we revisit Ryan's past with the storied franchise. 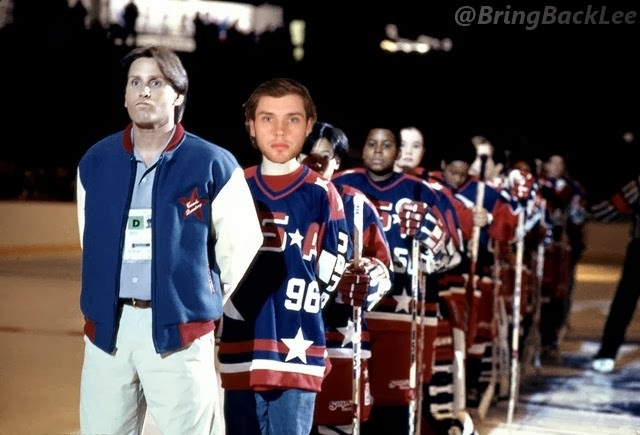 Once upon a time, Bobby Ryan was an untapped hockey talent. He could frequently be found playing pond hockey with his fellow fat friends. 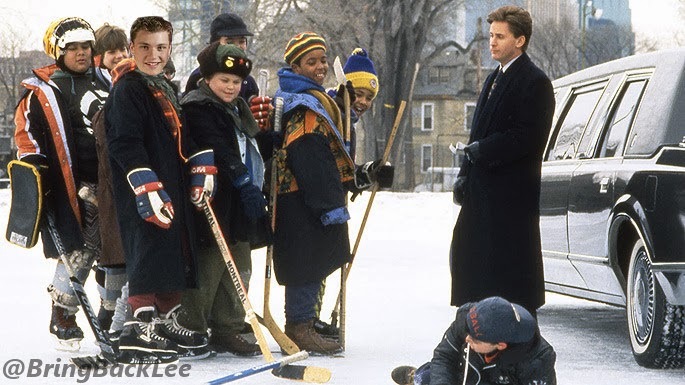 One day, everything changed when he was introduced to criminal-turned-coach Gordon Bombay and a rag tag crew of lovable losers. "This guy with a DUI seems like a suitable role model." Jump forward one month, which is Disney's approximated length of how long a rebuild should take (looking at you Edmonton). Bombay transformed Ryan and his friends into one of the most dynamic and competitive teams in the league. With a penalty shot upcoming, and the championship on the line, Bombay made the decision to select Ryan. The team approved, chanting his name in support, although one or two of his teammates muttered something about the game being decided by a skills competition. Ryan would prove the selection wise as he went to his patented go-to move, the triple deke, winning the Ducks the championship, and spurring a 3 month debate on whether or not the puck maintained forward momentum. Great work as always by the Anaheim spotlight guy. The Ducks' surprising success would lead to the unprecedented decision to have the entire team, including coach Bombay, to be selected by Team USA GM Brian Burke to represent their country in the olympics. "Nobody told me this was formal! I only brought jeans." Despite easily knocking off hockey superpowers Italy and Trinidad and Tobago, Team USA knew they were due for a struggle, facing off against Team Iceland Canada in the gold medal game. With the team trailing heading into the third period, Bombay made the controversial decision to switch jerseys. It turns out this decision didn't matter at all because the Ducks were a group of children playing a group of elite professional hockey players so they lost horribly...but Bobby Ryan's skill did not go unnoticed. This past summer he was promoted traded to the varsity hockey team Ottawa Senators. This move came as quite a shock to Ryan. And so our story concludes, not with an ending, but a new beginning. Stay tuned for tonight's game to witness the next leg in our journey of the legend of Bobby Ryan.